This year the Prince William Award for Conservation in Africa, sponsored by Investec Asset Management, was awarded to Garth Owen-Smith in recognition of his lifetime contribution alongside Dr. Margaret Jacobsohn to the restoration and conservation of wildlife in Namibia. 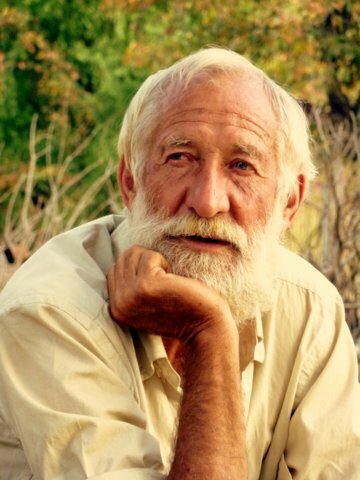 Garth and Margaret could together be described as the architects of community conservation and their combined efforts have positioned Namibia’s approach to conservation as a model to be revered and emulated across Africa. Together they founded Integrated Rural Development and Nature Conservation (IRDNC), which evolved out of their pioneering partnership with community leaders in the early 1980s to end the poaching and depredation that was taking place in the northwest of Namibia. If you’ve been inspired by Garth’s story, learn about another finalist, or let others know about the Tusk Awards.